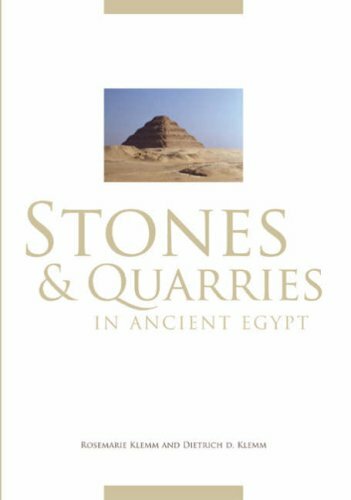 An important study not only of the geological structure of Egypt and the mineral composition of its rocks, but also of ancient Egyptian stone quarries. Illustrated with almost 500 photographs and diagrams, microscopic sections and electronic scans, as well as colour photographs of all the types of stone discussed, the detailed descriptions of the quarries and numerous examples of quarrying and masonry techniques make this book an indispensable tool for the provenancing of museum exhibits. Originally published in German in 1993, this edition has been updated to take account of new research, and a new chapter on the building stones of the western oases has been added. Archaeologists, Egyptologists and travellers to Egypt will find a wealth of fascinating information on ancient quarrying equipment, working methods and transport in ancient Egypt, as well as an introduction to the geology and mineralogy of the Nile valley and the surrounding desert regions. Rosemarie Klemm is an Egyptologist at the Ludwig-Maximilians-Universitat, Munich. Professor Dietrich D Klemm is a geologist at the same university.